Majestic are proud to announce that we have set up a new ‘Technology Partnership’ with the German based SEO Tools Company SEOlytics GmbH. The company are based in Hamburg and since they started to develop and sell their SEO controlling software in 2009, SEOlytics have managed to establish their software as one of the leading SaaS – Solutions in Europe. Their software is very easy and quick to use and will enable any user to check the visibility of their website in both Bing and Google, which could lead to identifying any potential problems and opportunities for the business as well as also enabling the user to monitor their competitors. With their current International Tracking tool, you are able to track keywords from 19 different countries around the world, ranging from Germany to Denmark to Brazil. However they are looking to improve their range and were pleased to announce that in December 2011, they were able to close a funding round that will eventually lead to further internationalization of their tracking tool. Despite being a German based software, SEOlytics offers Visibility Ranks for both the USA and Sweden, while the User Interface is also available in English. In 2010, SEOlytics GmbH won the European Gold Seal of e-Excellence award for rewarding excellence in innovation marketing. The seal is world widely known for distinguishing businesses with innovative products and services and outstanding marketing. SEOLytics have a license to take our data and present it directly in their tool. Unlike our OpenApps API, users do not need a separate account with Majestic to see their link data. 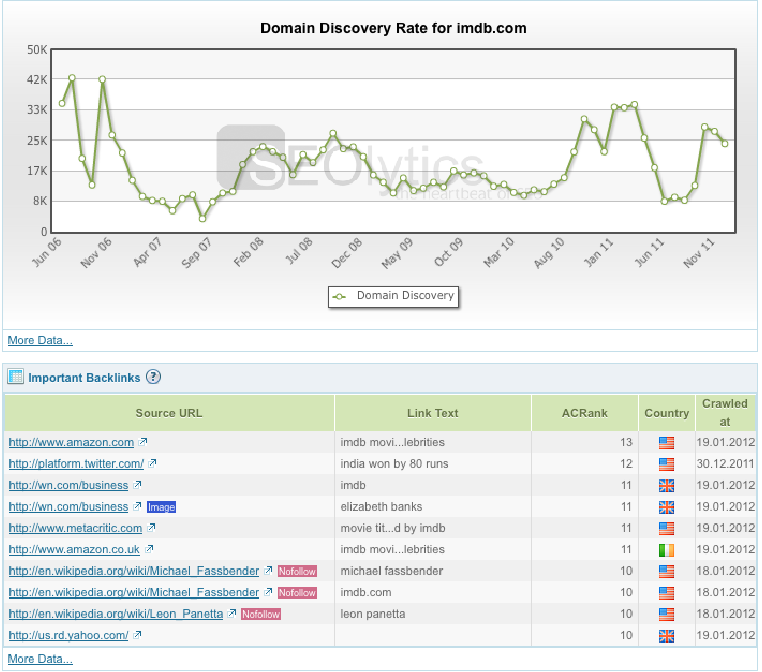 Here is a screenshot showing how the anchor text, crawl date and domain discovery data is displayed. I note as well that they also show (though not in this screenshot) the percentage of links that are deep links, compared to homepage links. This might be a useful metric if you are considering how prone a site is to Panda penalties, for example. The visibility screen shot is taken from a Visibility Rank overview for the Warnerbros.com domain which has been compared against macys.com and zappos.com. A Visibiilty Rank tests the value of a domain by methods such as Keyword Ranking, search popularity and Cost Per Click. 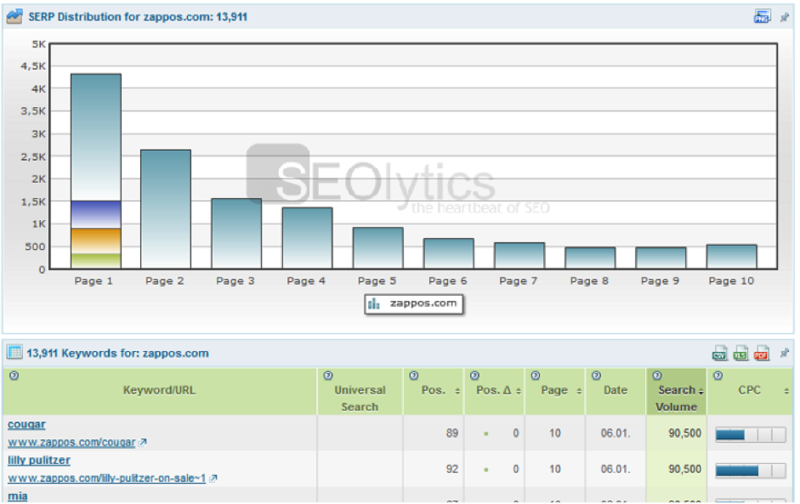 I have also shown a screen shot from their SERP Distribution tool and shows the increase in clicks zappos.com can expect the further up they are on Google.com. So if their search result appears on page 10 of Google, they can expect to receive around 500 clicks, whereas if they are to appear on page 1 they could possibly receive just under four and a half thousand clicks onto their site. Which is a vast improvement. Not only do they offer these tools, SEOlytics are able to offer a wide range of SEO tools. 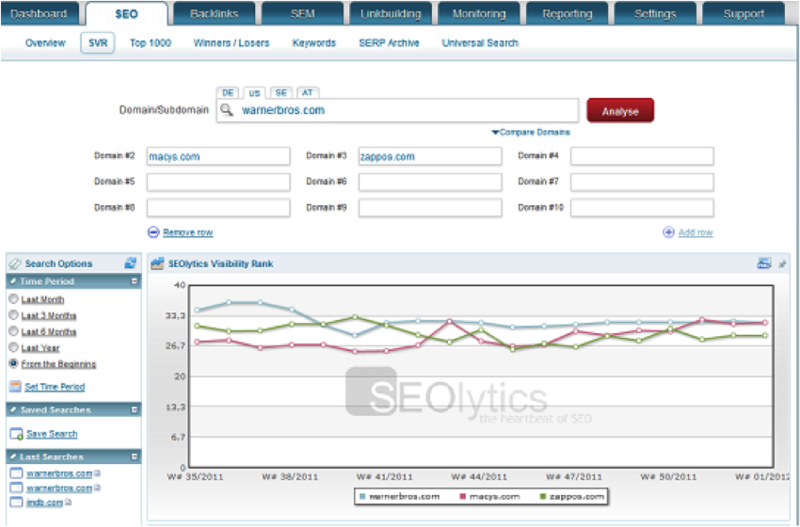 They include Keyword Analysis, Link Building and Back Link Analysis. On top of that they are starting to offer newer tools that include an alert system that will email you whenever there is a change in your rankings and a automated report system. 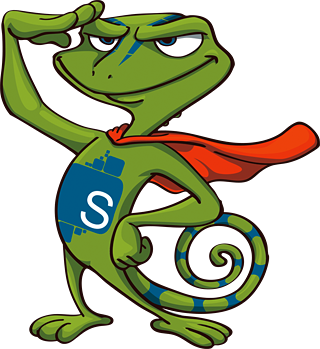 Any improvements to Majestic SEO are ok with me…great product. Thanks.